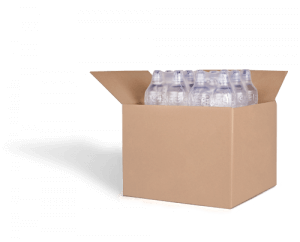 Your product packaging can be a lot more than a cardboard box with a simple imprint. From drawer boxes to foil-laminated textures, there is an entire range of possibilities for you – this article helps discover them. Most of the packaging solutions are designed only to deliver a product from point A to point B. In such a case, all of the features, including the packaging appearance, are dictated by “a safe delivery”. 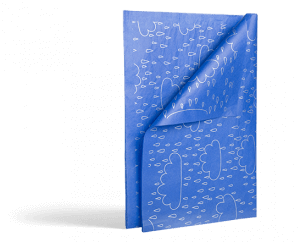 While safety is of utmost importance, don’t forget that your packaging is also a part of your product – an essential element of it that complements your offer. 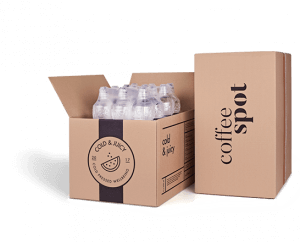 There are companies, which seek the most cost-effective solutions, as well as brands willing to invest a bit more, and elevate its packaging as a “customer lock-in” tool. How do you design packaging that brings your customer back? 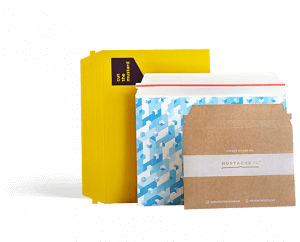 What’s the range of available printing variants and how can you order them for your brand? What are the tailor-made packaging solutions (and why are they available in wholesale quantities only)? 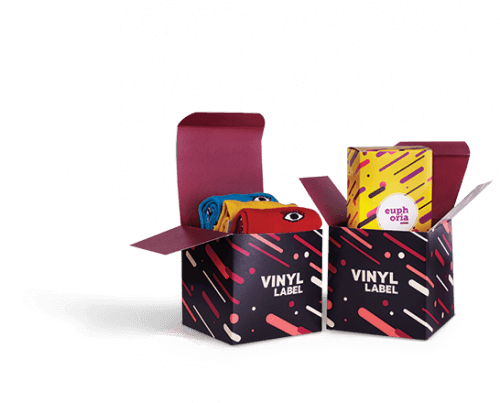 If you’re in charge of your business, you probably wish to have a unique packaging solution. 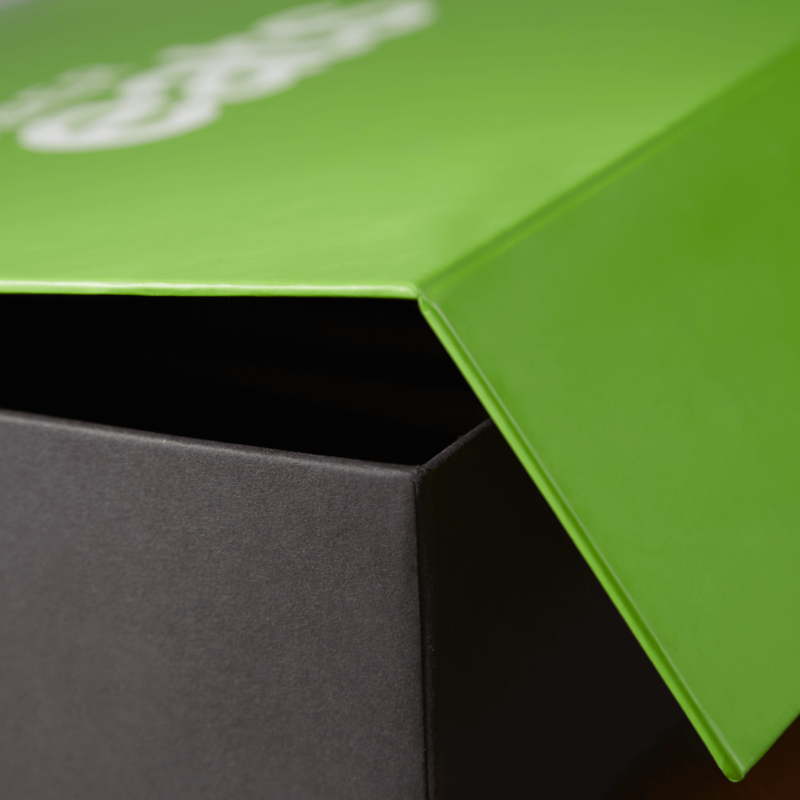 A box or a bag that would surprise your customer and make a killer first impression. You have done your research, verified the choices of your competitors etc. And given a certain budget, you want a solution that will fit your product best. 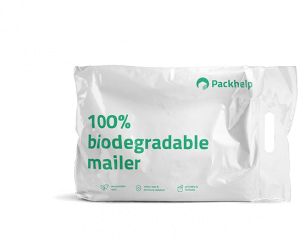 In order to make things easy, Packhelp offers you two separate ways to approach your packaging issues. One is to choose a solution from a standard offer – you will be able to browse through many sizes, finishing and print options. You can design the products in an online editor, on your own, hassle-free. But what if you need something more special? In such a case, there is the second way – a fully customized solution that we called Packhelp Pro. 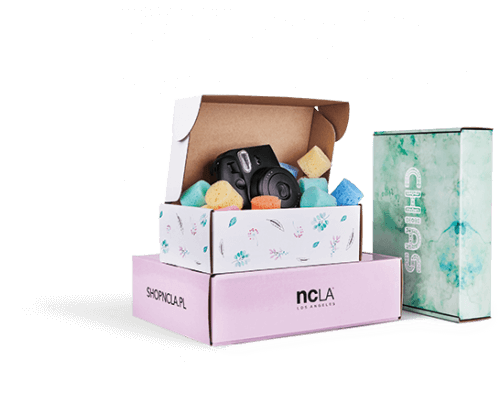 If you have a more substantial budget, you plan to upgrade your product to a premium version or want to order a large number of boxes, Pro is your bet. Why do you need to order wholesale quantities? The reason is fairly simple. Each special finishing option, add-on or construction change requires a special set of production tools. As a consequence, a finish called hot-stamping performed on 30 boxes would be very costly and as a business owner, you’re looking for the most cost-effective solutions. In the following parts of this article, you’ll see the add-ons and solutions that are available within Packhelp Pro, as well as find out about the benefits of using them. If you are thinking about special add-ons or features of your new packaging design, it’s good to define the key part you’d like to focus on. attract the attention of your customer in a shop? secure your fragile product in a long process of delivery? create an unexpected unboxing experience? emphasize the premium character of your brand? Once you know what’s the most important objective, it is easier to choose solutions that will help you achieve it. Take a look below at some of the most popular finishing options, widely used in packaging design. Do you recall the type of glowy finish that’s often seen on luxury product packaging? If not, take a look at the example below. The photo above (or the logo “ZOLA” in particular), represents the idea of hot-stamping in practice. According to Wikipedia, Hot stamping or foil stamping is a printing method of relief printing in which pre-dried ink or foils are transferred to a surface at high temperatures. In other words, it is a method of adding a layer of coloured foil onto your packaging. Such foil is usually gold, silver or copper. How can you benefit from adding hot-stamping? 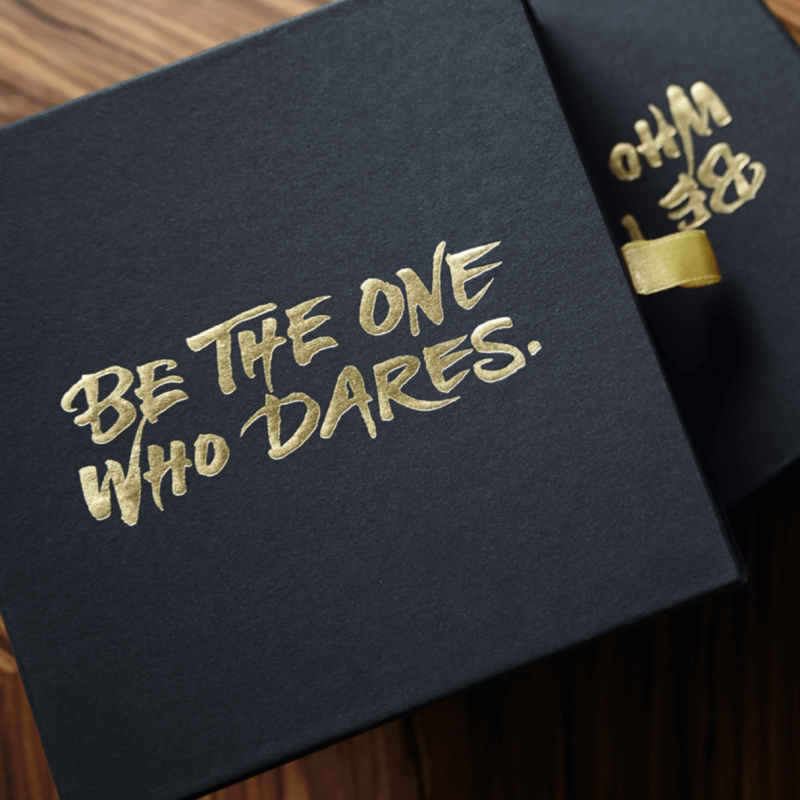 Hot-stamping is the best way to create a classy look for your packaging. 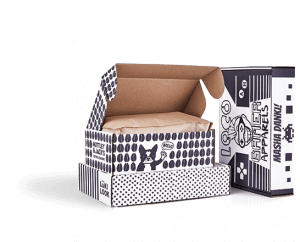 It’s a printing method that doesn’t require any changes to the construction of your box, and is one of the cheaper extras too. 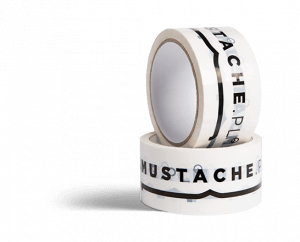 Tip: hot-stamping addresses the sense of touch, therefore creating an enriched experience with your packaging. Hot-stamping is often used along with embossing or debossing – another popular printing option. Embossing and debossing are two alternate versions of the same technique. A part of your packaging’s surface – let’s say a logo – is printed in a convex or concave way. As a result, this particular element is an immediate eye-catcher, thanks to a “3D impression”. As mentioned earlier, your embossed (or debossed) element will look much more unique with the addition of glowy foil. You can also think of powerful colour contrast – try the combination of a black surface with silver or gold shine. 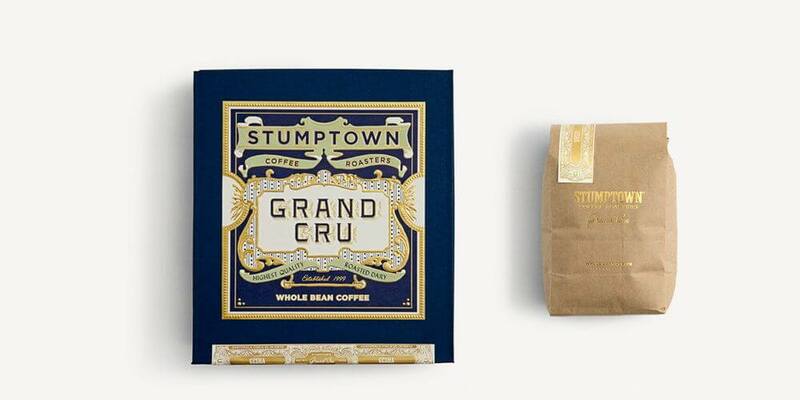 Tip: the packaging of Stumptown below is also an example of UV varnish – the golden logo stamped on the paper bag next to the box. 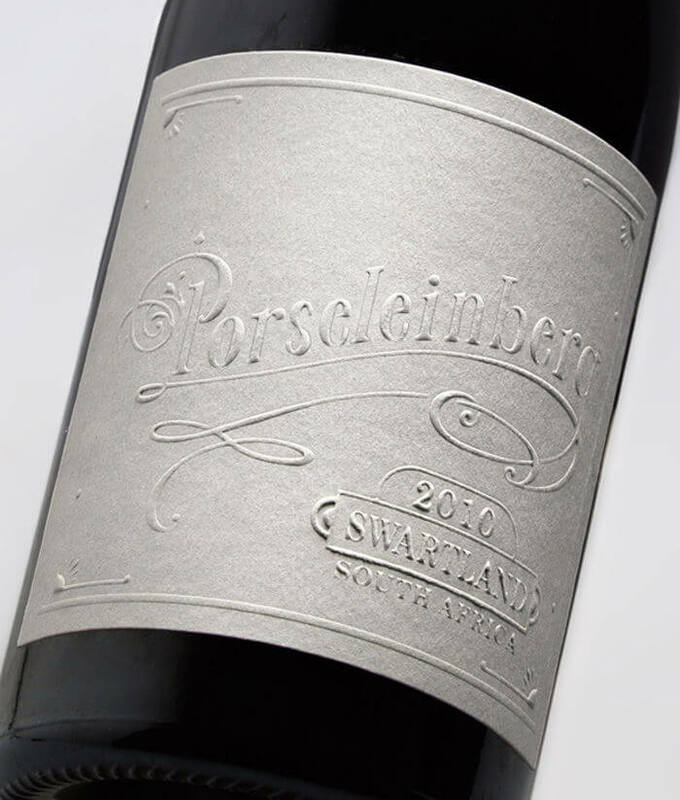 A touch of elegance can be achieved with foil lamination too. The process of foil lamination starts with the choice of glossy or matt foil. Once you decide on one of the two, the foil coating is added to the entire surface of the packaging. Tip: Matt foil will immediately create an upscale impression. Use it in darker colours – black or deep, navy blue. You can click here to see some examples. Adding a self-sealing stripe is a simple tool to increase the protection of your package. 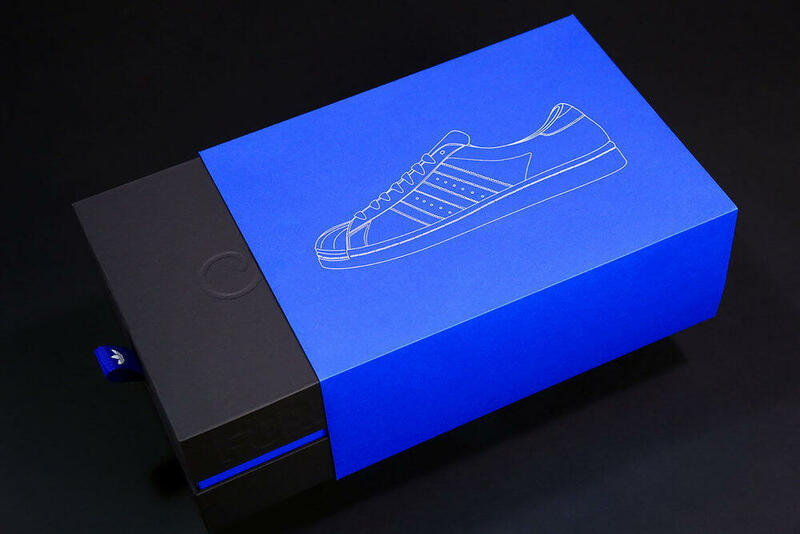 Before sending your box, you just unwrap the stripe and press it on the flap of your box. Your customer will simply tear it apart when opening the box. 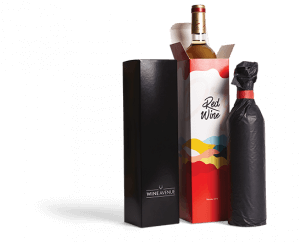 One of the things that mark a premium packaging solution is its shape and a concept of construction. A drawer box means a type of packaging made of two parts. An external part is slightly bigger and works as a sleeve for the internal bottom that can be slid in and out. 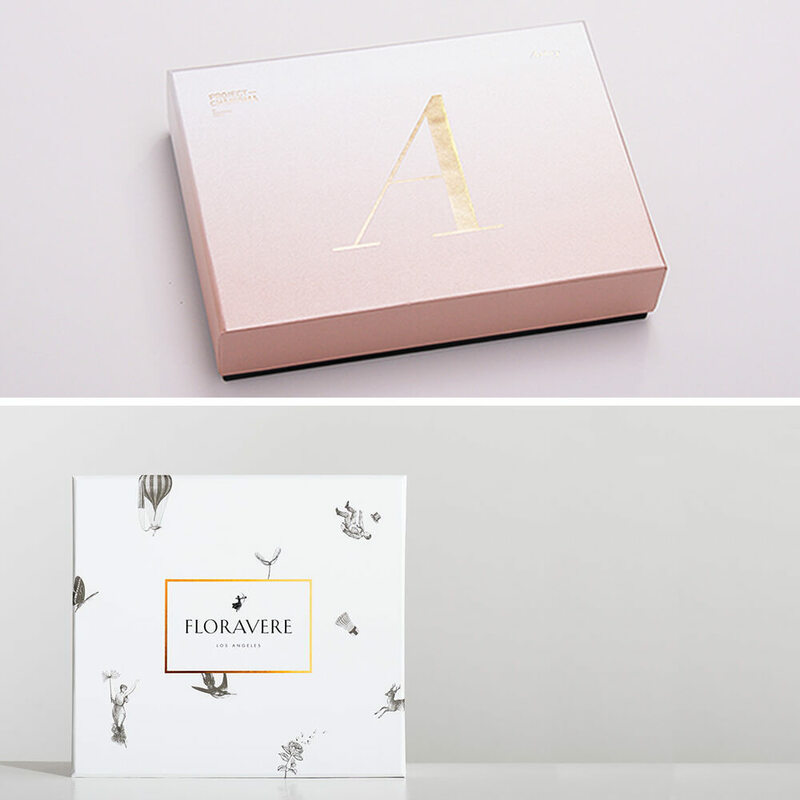 This type of box looks great with other printing finishes – foil lamination, embossing or hot-stamping, but also UV varnish and ornaments like ribbons. 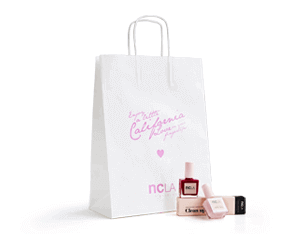 A retail store with premium lingerie, clothing accessories, glasses or jewellery products to name a few. 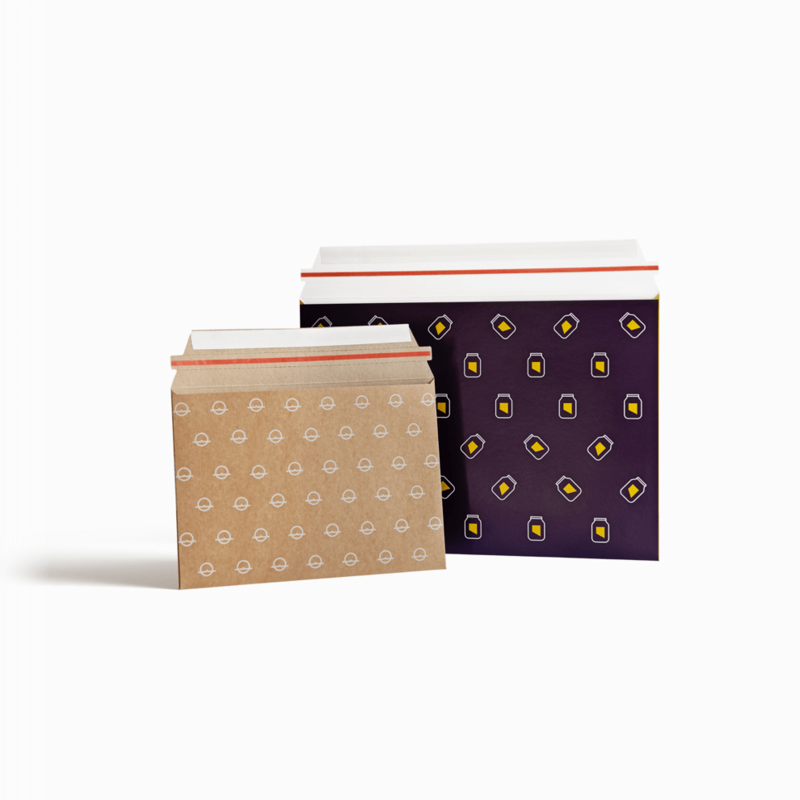 Foldable boxes are perfect for cosmetics products, candles, socks etc. 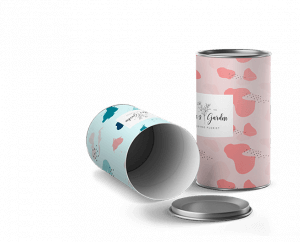 This type of packaging is usually made from coated paper and can be easily enhanced with all sorts of add-ons, varying from foil lamination to glued bottom, drawer-like construction and more. An example of a foldable box can be found below. In the photo below, you’ll see a magnetic box, also called a box with magnetic flaps. The flap that closes it is made with a magnetic element inside the surface. As a result, the unboxing experience is much more extravagant. A magnetic box is a perfect way to adhere to customers, who plan to re-use the box often. Furthermore, the construction of magnetic boxes is stronger in comparison with ordinary cardboard packaging. 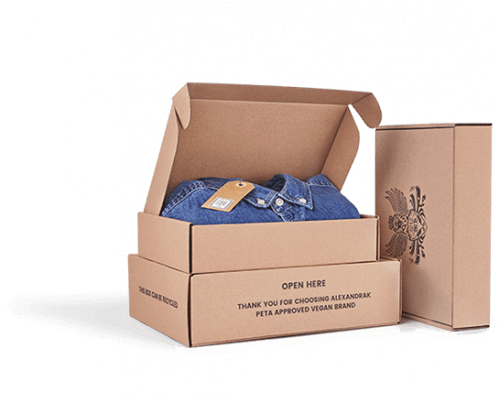 A rigid setup box combines a solid construction (made from strengthened cardboard) and an uncompromising presentation of your product. In the picture below, you can see the characteristic texture of cardboard, painted in dark colour and finished with a touch of golden ho-stamping. It’s an ideal choice for a jewellery store – just add an inside compartment to stabilize your piece of art and impress your customers! These construction ideas are only here to give you a hint of what you can do. 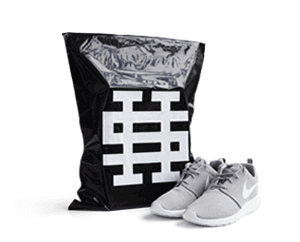 With Packhelp Pro, you can design packaging in many more ways. These bullet points lead to two crucial concepts – an extended product and added value of your product. When you think about your product, you can approach it from a micro or macro perspective. The latter one means an extended product. What does that mean? A bigger package for your product? An app that accompanies your service? 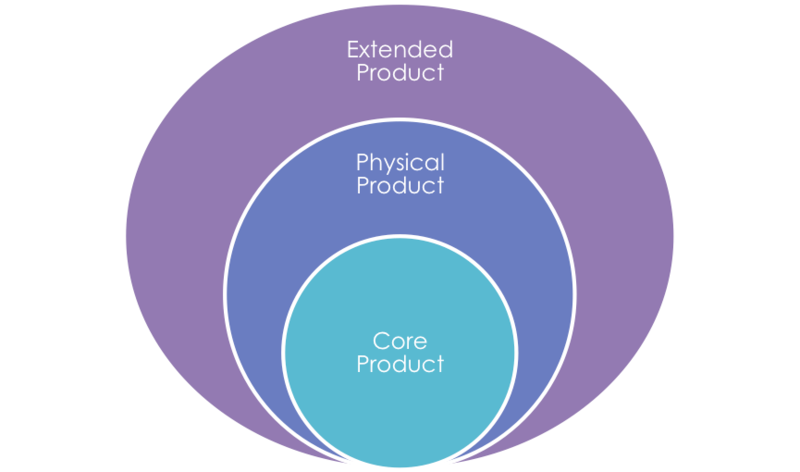 In general, an extended product is a broader concept of what you’re selling. If you’re a retailer and sell cosmetic goods, you sell something more than bath, skincare and perfume products. What do you sell then? Your company’s values, your expertise, your special features like free shipping and a packaging solution of your choice. This graph suggests a crucial issue concerning your packaging too – your box actually is an integral element of your product as a whole. 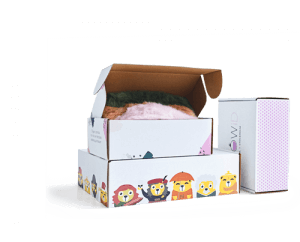 Your customer might love your brand’s vibe, but if you use plastic boxes to ship an organically produced product, you’re going to lose customers. What’s your winning strategy that guarantees your sales? It could be the precision of production, a cutting-edge technology that speeds up your production, or an eco-friendly policy widely disregarded in your industry. However, your packaging is also a way of creating additional value. A stronger construction provides better protection, an embossed surface addresses the sense of touch and so on. 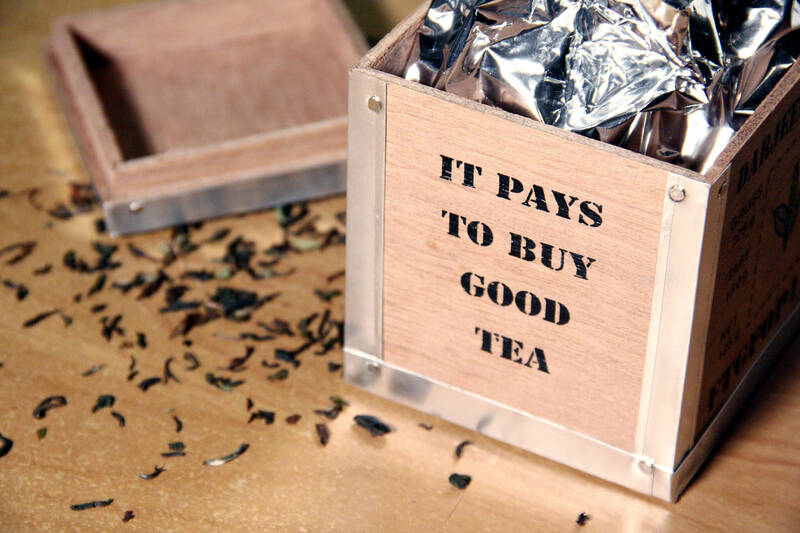 A wooden box looks fancy, but increases the shipping costs significantly due to its weight. Therefore, it’s better to choose a lighter and cheaper material. Finally, your packaging’s design should be focused on emphasizing its most important feature from your customer’s perspective. The point is that your packaging design should have a clearly stated purpose, with every additional feature justified. 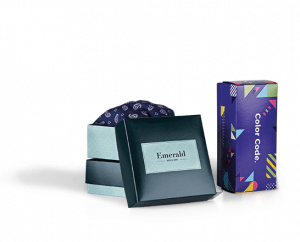 If you want to create value with an organic character, choose a fully recyclable box with an elegant finish like hot-stamping. If you ship something heavy, don’t invest in a fragile construction, etc. 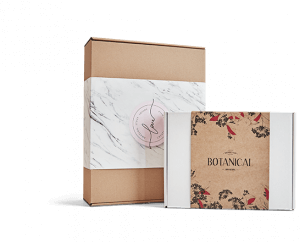 Once you know what’s your value added (along with an extended concept of your product), you are ready to create and order your customized packaging. Where to buy non-standard packaging in wholesale quantities? You know the possibilities, you know the benefits – the last thing to conclude is the best provider of these solutions. With the expertise offered within Packhelp PRO, there is no limit to what you can create. If you feel that this is how packaging design should be, click below.